Worries about wildfires are heating up in Jasper, as forests that have turned a rusty red colour due the mountain pine beetle offer a visible reminder of the area's vulnerability to a blaze. Yet fears about wildfires are growing in the mountain town, fuelled by the rusty, red colour of the surrounding forests — a visible reminder of the spreading pine beetle infestation and the area's increasing vulnerability to a blaze. Jasper's residents, remembering the 2016 Fort McMurray fire and last summer's smoky haze through the Rocky Mountains from wildfires in B.C., are voicing concerns about the community's preparedness for a major fire. 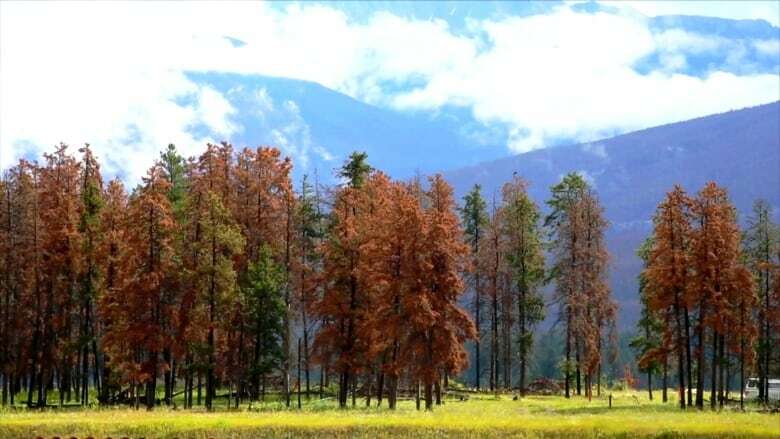 "We have numerous pine beetle-attacked trees upwind of the community, which is raising concerns not just for residents, but visitors and other folks, as well," said Greg Van Tighem, fire chief for the Municipality of Jasper. But it's not just weather that is drying up the forest. "They need to be prepared themselves, and they need to be prepared in the manner that if there's the potential for an evacuation, they need to be part of the solution, not the problem." Earlier this year, two researchers from B.C. 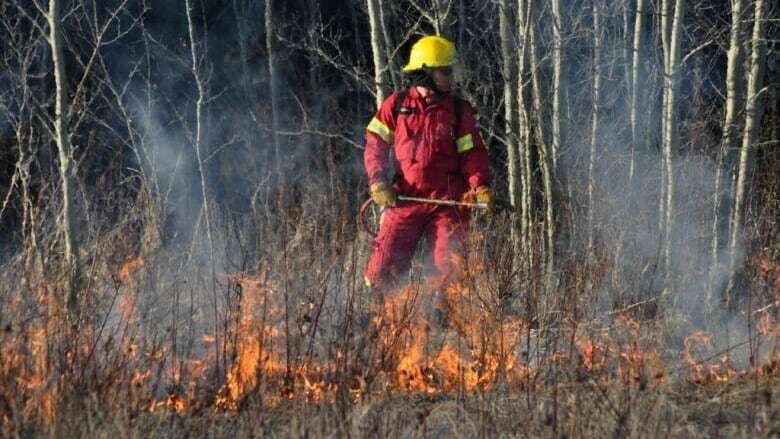 criticized Parks Canada for how it is handling the fire risks in the forests near Jasper. Last year, Jasper Mayor Richard Ireland called the situation "worrisome" and he has said town council had been in extensive talks with Parks Canada about prevention measures. "Given the concern about the red forest, we're certainly taking steps to augment the work that's already in place," he said. "I'd say there has been an acceleration, with the advent of the pine beetle, in some of that work. But the strategy is largely the same." Argument said Jasper has been "FireSmarting" — referring to a nationwide wildfire program to help protect people, infrastructure and surrounding lands — for almost 15 years. Measures include thinning about 1,000 hectares of forests in and around the edges of town, essentially reducing the density of the standing trees. There are more plans to remove dead, dry tinder later this year. "This winter, we'll remove about 500 hectares of standing, dead pine trees, using mechanical means," Argument said. "We need to make sure we're doing it in a responsible manner," he said. "That we're doing it in the right place and protecting the other values we're concerned about here."